I want to talk about Catharsis and what that means to a viewing audience. More often than not, what we want and need from our narratives is to be entertained and that’s just fine. Not a problem in the world with wanting a story to entertain and thrill us. The second most common reason we turn to narratives is for escapism. There’s little more exciting than getting lost in a good book, letting your mind work with that of an author’s to create characters and worlds. It’s a total rush. Some need the excitement of action to get their blood pumping in order to escape from the humdrumity (my word) of their daily lives. So if these are the reasons we turn to narratives, why would we ever watch a realistic tragedy? And it’s a very good question. For the answer, let’s turn to Aristotle! He would suggest that we need tragedy in our lives because it leads us to Catharsis - which is an emotional release or discharge that allows us to experience a moral or spiritual renewal or at the very least a welcome relief to all the anxiety and tension found in a narrative or work of art. I mean, sure, we don’t all walk around thinking, “Wow, I need a catharsis today or else I won’t feel any renewal of emotions.” At least I hope nobody’s out there walking around saying that. But every now and then things in life can get very tense and that may lead to a need to purge our emotions…especially of pity and fear. Which brings us to Hours. I feel so many people are disappointed with the movies they see because there’s always a disconnection with their expectations and the end product they end up reading or seeing. There are many factors that lead to these expectations, advertising being the most obvious. If a movie is advertised as the scariest horror movie around and then you go in and find out it’s more of a think piece of the dangers of isolationism and controlling people through fear…there’s bound to be some disappointment. That’s what happened to M. Knight Shyamalan and The Village. 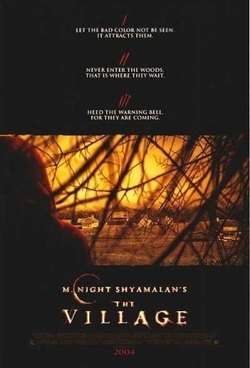 Shyamalan’s name alone brings up expectations of twist endings and scary stories. Using pictures to tell stories to his new daughter. The second problem with expectations is when a movie begins, we’re at the mercy of the storyteller and his craft. There are some stories that are more interesting from beginning to end, while others need those jumps from present to past to allow the story to unfold in a more complex way. These are all decisions the storytellers must make and each decision along the way takes a chance on alienating an audience that doesn’t enjoy that style of narration. So when I hear someone say, “That movie sucked,” my mind always goes to the question, “Is it reader/viewer failure or writer/director failure?” All this is a long winded way of saying, just because some find a film unentertaining, doesn’t mean it has no value or is indeed even a bad film. There shouldn’t be anything in the film that’s not necessary. I do not mind long, intricate narratives, but if you’re giving me establishing shots I don’t need…edit! Don’t show me something and then have a character say it just to make sure I got it! Did I feel like I experienced what I just saw or I just watched it? I have sat through 2 and a half hour films and when I walked out of the theater I felt like it had been ten minutes. I don’t even remember finishing my popcorn! Hehehe That’s engagement. And finally, did reading this story or watching this film change the way I see something about myself or my world? And for me, that’s the cash cow. I love having my perspective changed or challenged. Some storytellers do it through subtle humor while others beat you over the head. Both have merits as well as drawbacks. It’s like two different people using the same tool. On the roof trying to flag down a helicopter, but have to be back to crank the portable generator in 3 minutes. Quite dramatic. In the hospitla waiting room. Nothing says, "Hey, your a Daddy now!" quite like changing that first diaper. The Katrina disaster in New Orleans was incomprehensible for most of us. This film put us right in the middle of it. We feel for this man’s plight because he goes from literally saying to his baby, “I don’t know you,” to spending the next hour and a half trying to keep her alive. Because it’s an American movie, we pretty much know at least the baby will survive, but this film does stir up our fears…not on some supernatural level, or even a “don’t-wade-through-the-water-in-the-generator-room-because-there-might-be-snakes” level either. It’s just a father fighting against incredible odds to save his child. And it works. It’s plausible. And it builds the tension well, maybe too slowly for some tastes, but again, that’s viewer failure. I admit it...this was my catharsis moment and if you're not a parent, you totally may not get it. But yeah, it choked me up. Anyway, this all allows us to purge our fears of isolation during a natural disaster, our fears of looters with guns when there’s no law enforcement stopping them, our fears of losing someone we love, our fears of facing our own mortality. 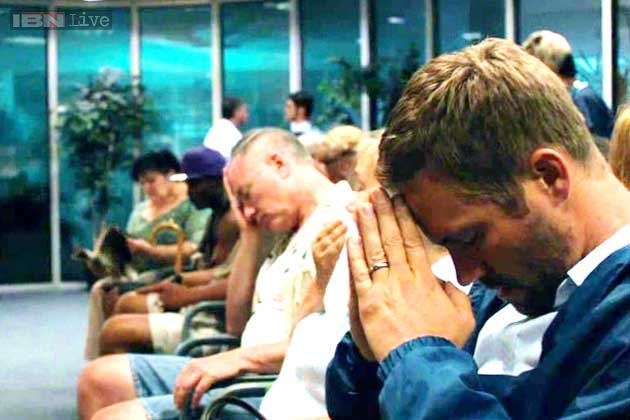 The final element that adds a lot of unforeseen tension is that this was actor Paul Walker’s final performance. And thankfully it’s an outstanding performance, one that allows us to purge our emotions of pity and fear as well as a sense of great loss. 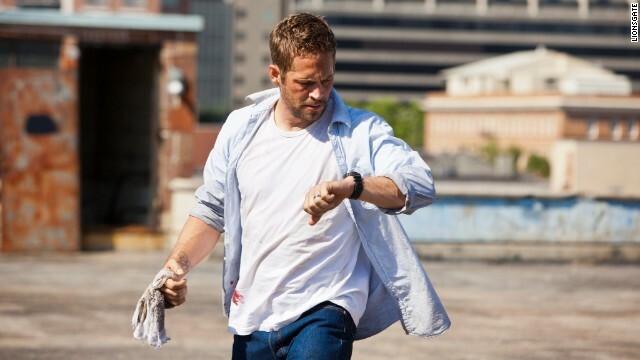 You will be missed, Paul. It's all about the purging!